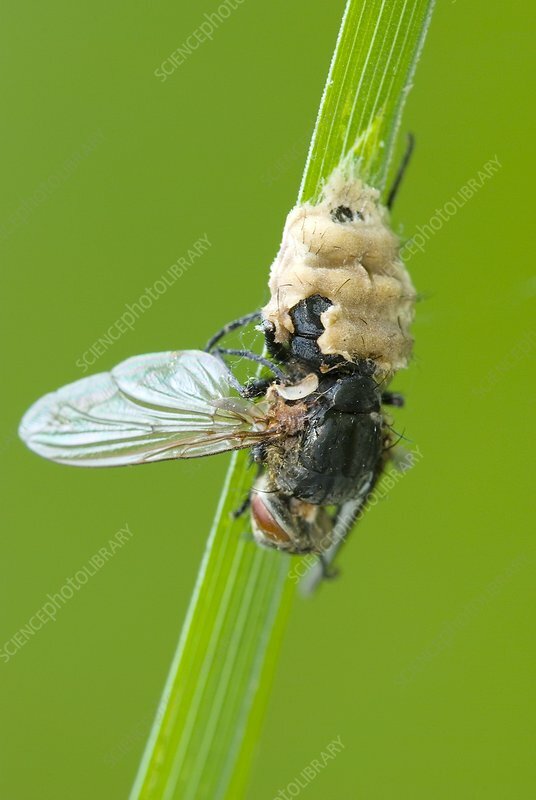 Fungus parasitising a fly. Close-up of a fly that has been killed by the parasitic fungus Entomophthora muscae. This fungus is highly adapted to its host. Infection involves growth of hyphae into the brain of the insect, causing a behavioural change. The fly is induced to crawl upwards and extend its wings. Following the death of the fly, this posture ensures the widest possible dispersion of the air-borne conidia produced by the fungus. Photographed in Poland.